You are currently browsing the category archive for the ‘Music, Radio & Broadcast’ category. Reporters from LSLive are preparing to report at Leeds Lights Switch-On 2010! The LSLive crew will be catching the buzz from the crowd at this years event which kicks off at 7pm Thursday 18 November. Some of the reporters will be given backstage access and will meet the celebreties involved in the evening’s festivities. This year’s roll call of famous peeps at the event includes Shayne Ward, McFly, Kelly Brazil and Leeds very own Demeanour (winners of Breeze Has Talent). 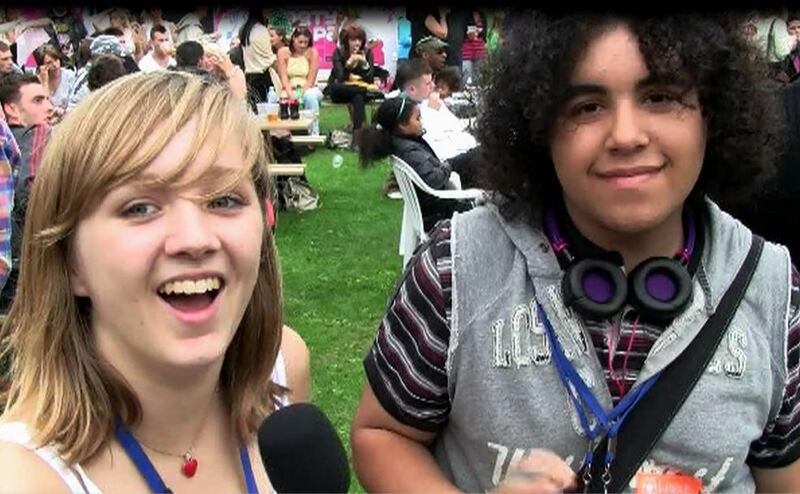 Anyone interested in becoming an LSLive reporter should email alison.booth@radiowaves.co.uk . You just need to be aged between 13 – 19 and living in Leeds. Leeds student Lucy Cheseldine has blogged about her work experience as a young writer in Leeds over at the Guardian Leeds blog. Lucy has worked for the Mediafish, the Find Your Talent supported Leeds Young People’s Film Festival and has presented her own culture pieces on Radiowaves’ LsLive channel. You can check out the links here. The Leeds-based South Asian Arts UK (SAA-uk) has hosted an array of Find Your Talent workshops across the city since September last year which has given young people the chance to explore their cultural heritage through music, dance and theatre. SAA-uk was established in 1997 to promote engagement with traditional and contemporary South Asian arts. It delivers a diverse range of programmes and activities for children, young people and their families through education programmes, concerts and investment in South Asian arts development. Supported by Find Your Talent, SAA-uk have held guitar workshops for 9-10 year olds at Shakespeare Primary School in Burmantofts, led by the accomplished musician Giuliano Modarelli. The group also visited a live performance by Alex Teymour Housego’s Alcazaba, a flamenco/ middle eastern fusion band at the Seven Arts venue in Chapel Allerton. Since January members of the Punjabi Language School have met regularly at the GNNSJ Sikh Temple in Beeston on Wednesday evenings. The project included an introduction to the theatre with a trip to The Carriageworks to see a production of George Orwell’s Animal Farm. The visit was followed by a day-long workshop at the GNNSJ temple facilitated by leading storyteller and drama coach Ursula Holden Gill. The day included games based on Animal Farm, looking at representations of animal types and characteristics with mask-making and live performances. During the final phase of workshops girls from City of Leeds High School took part in Bollywood dance workshops at The Cardigan Centre. The after-school sessions, hosted by Rushia Uzmi (Dola), came to an end in June and the group are now looking forward to attending the new show Britain’s Got Bhangra at West Yorkshire Playhouse. The hit play from Rifco Arts traces the history of Bhangra through the story of Twinkle (an 80s British Bhangra icon who goes bankrupt with only dreams of a number one hit to keep him going) and will be coming to Leeds in July. The confidence of the workshop participants has developed in many ways throughout this project which has seen young people build on their creative skills, gain Arts Award qualification and establish new friendships. The Leeds Be Healthy! Be Creative healthy schools programme offers a choice of over 100 challenges for schools that involve individuals, classes, teachers, families and year groups to choose to ‘just do one thing well’. This summer’s 2010 term will see a celebration event taking place at the Leeds Met Carnegie site on June 29th. The challenges last for at least six weeks, which involve changing habits for the long term. For example, using Breeze to access information, visiting heritage sites on a regular basis, or learning a musical instrument. The celebration event will have 60 schools participating, showing each other their achievements whilst having an opportunity to try out two of the six workshops being offered during the exciting ‘festival’ themed day including Circus Skills, Slam Poetry, Bhangra Dancing, African Drumming, Drama and Singing. The programme has held five young leaders training days in April at Park Spring Primary, Morley High School, Templenewsam Halton Primary, Abbey Grange High and Wigton Moor Primary. Children and young people on the Young Leaders programme took part in activities that included confidence building, decision making, teamwork, presentation, and recording and evaluation skills. The Young Leaders go back to their schools to run challenges with other pupils. Creative crew at the Carnegie event will be composed of Young Leaders who will help support the day and organise/plan the event. Not just for me, but for all of you too. Seacroft has been captured on film by young documentary film makers in East Leeds in a new film titled Seacroft Past, Present and Future. 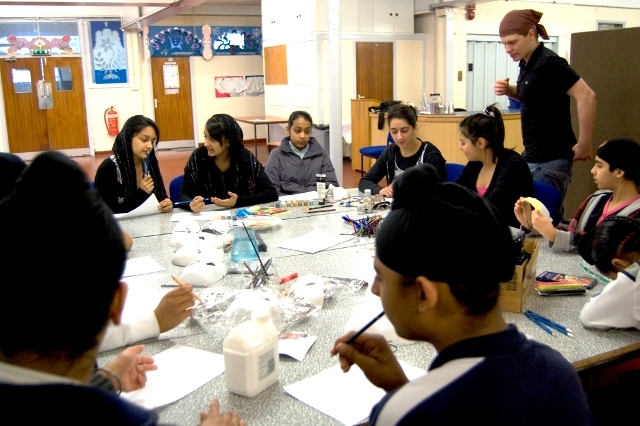 Established in August 2009, the Seacroft Youth Film Factory project has been running in partnership with Space2, Leeds Bridge community film organisation and the Youth Service at the Denis Healey Centre. Seacroft Film Factory’s documentary film trailer was shown at Hyde Park Picture House in April as part of Screen Yorkshire’s slot at the Young People’s Film Festival, with the final complete film along with Bloopers and outtakes at the David Young Community Academy at the end of April. Find Your Talent have supported a further film project with the young people, through the Film Festival’s 24 hour Film Challenge. Another film called Blue Boundaries was created based on the local history of Temple Newsam where a rumoured ‘Blue Lady’ wanders the grounds. 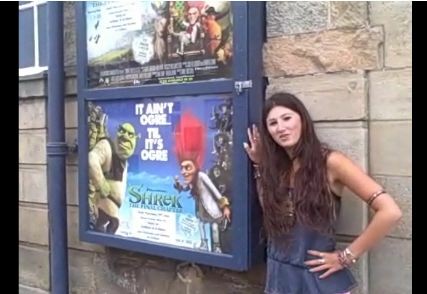 The project worked with young people 11 – 19, who explored local history through the medium of film. The group took part in practical delivery sessions, visited the National Media Museum, and also Bradford and Leeds Metropolitan University’s Northern Film School. This innovative scheme developed arts and media-based skills, increased self-esteem, raised aspirations, and introduced pathways to positive future education and/or career choices in the arts and media. Following the sessions – where the group learned how to edit, shoot and plan their own films – four young people gained their Bronze Arts Award in January 2010, with a further 3 collecting Bronze PAYP awards and 1 Gold PAYP award. 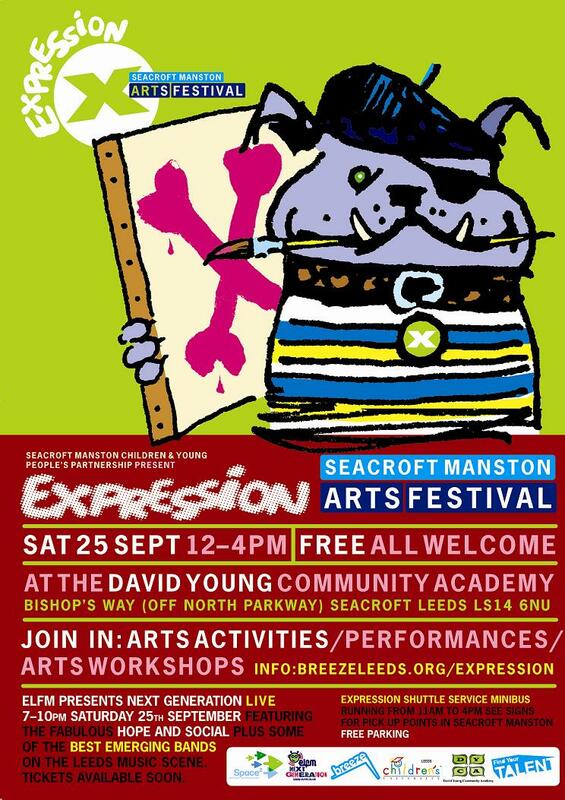 Seacroft Manston’s Junk Percussion are currently rehearsing in preparation for a series of performances at at Bradford Mela, Seacroft Gala and the Expression Arts Festival in the summer months. This exciting project (run in conjunction with Connect Housing, Chango Music and Find Your Talent) brings together young people of different ages from all across East Leeds to create a loud, vibrant ‘stomp style’ orchestra. 16 pupils from 5 different high schools and 2 primaries in the East Leeds area have rehearsed on Tuesday evenings to make, thump and dance around old trays, barrels, teapots and saucepans. The result? The amazing and awesome Seacroft Junk Percussion Orchestra. The sessions have involved young people in a range of activities including basic drumming skills and rhythms, art and craft (making instruments and costumes), performance, dance and circus skills. Local MC Testament (from the Leeds based hiphop act Homecut) has also run beatboxing sessions with the group. Homecut have recentlycollaborated with Corinne Bailey Rae, Soweto Kinch, US rap legend J-Live, Andreya Triana and the Cinematic Orchestra. Also a member of Schlomo and the Vocal Orchestra, Testament shared his skills with the junk band to help turn their vocal chords into instruments, which will then feature in this summer’s performances. Seacroft Junk Percussion Orchestra will perform at Bradford Mela on June 12th and 13th, Seacroft Gala on July 3rd and shall play a final show at Seacroft’s Expression Arts Festival on September 25th. This month the FYT supported Future Arts has been running music technology workshops at Burley Lodge as part of a project that gave young people (aged 13-19) the opportunity to become music producers and create their own music using digital technology. Future Arts used MIDI controllers, Kaoss pads, Audio Cubes, CD Decks and laptops which helped participants create their own beats, samples and vocal effects – and created future music without boundaries from the sessions. Participants from the Inner North West area of Leeds watched videos of performances from all musical genres and kick-started a lively debate about artistic style techniques and use or non-use of technology. The discussion reflected the wide range of tastes, styles and ideas about music culture that the group shared. The group were introduced to elements of music technology through a series of workshops which expanded their understanding of how music can be created – summed up by the idea that you don’t have to be a grade 8 pianist to be a grade A musician. Future Arts offers a unique music experience that is informed by and connected to youth culture. It offers an accessible route that allows young people to create music in ways that respond to their own interests and experiences whilst gaining credits for Arts Award qualifications. 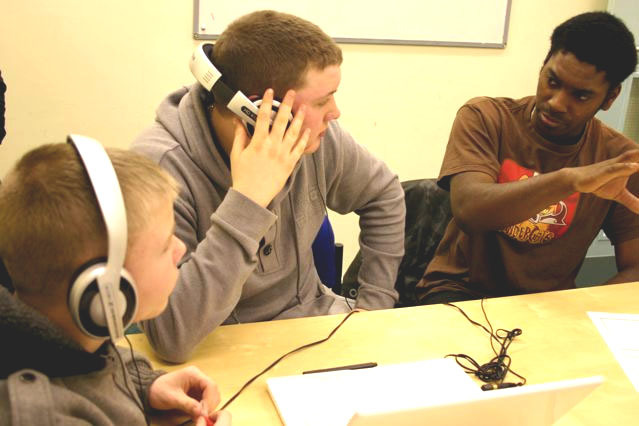 The project is a great opportunity for young people in Leeds to access user friendly workshops and harness their own vision of music and creativity. The next workshops will take place at West Park Centre, Spen Lane. Rock School is a five week course of Jammin’, Recordin’ and Giggin’, specifically designed to give young people the ultimate rock band experience. Over the 6 session experience, each student will form a new band with people of their own age, learn to play tracks by their favourite artists, write their own original material, record their songs in a professional recording studio and take part in exciting ensemble sessions. At the end of the project a Grand Finale Gig will showcase participants work at a prestigious, national music venue! Rock School is open to young people between 11 – 16 years (or from school years 6 to 11) and living in West Leeds. As part of Leeds’ Find Your Talent Programme, Rock School will be hosting (at The Rock And Roll Circus Studios in Armley) a free-to-access five week course, running on Saturdays during the second half of the Autumn Term 2009. The project will work with young people from West Leeds who have an established interest in music and a desire to improve their skills. Participants do not need to be of a high standard on their chosen instrument, but they must have displayed an enthusiasm and desire to engage with musical activity, either in school, at out of school activities, within their community, or within peer groups. Find Your Talent have funded the youth strand of the EXPO festival which is taking place in Leeds this year. EXPO is a national free festival of sound art and experimental music and runs from the 25th to the 29th September. Young people from across the city have worked with sonic artists to create their own pieces of artwork. These projects have given the young people the unique opportunity to exhibit their artwork alongside international artists. Gifted and talented year 6 pupils from Morley primaries worked with Glenn Boulter, sonic artist and Sarah Shaw, Head of Music at Bruntcliffe High School to create an audio trail of the exhibits at Leeds City Museum. Artist Mira Calix worked with young people from South Leeds High School to explore the visual and audio effects of sound by combining unlikely objects such as rice and marbles with bass speakers. In Seacroft Manston young people from the David Young Community Academy worked with arts organisation Heads Together to create a ‘domestic symphony’ based around the back-to-back kitchen in Leeds City Museum.